Even among diehard music fans, Grammy night can be met with at best, lukewarm apprehension, and at worse, scathing criticism. Yet, what’s billed as “Music’s Biggest Night” can actually be satisfying if you know what to look for. Of course, there will be some cringe-worthy moments and lackluster performances, but there are sure to be some iconic showcases as well. This particular year shows some promise and gives even the most pessimistic of watchers some hope. Artists who have carried the torch of musical protest into this new era we find ourselves in, have been welcomed by both the public and the Grammys. Childish Gambino, Kendrick Lamar, and Janelle Monae have all found significant exposure this year as they showcase matters of race, gender, and sexuality in intriguing ways. This recognition of both protest and race, are hopeful signs of a more inclusive night. With that in mind, there are three specific acts I want to draw your attention to. Among these bright spots are the impressive amount of women who are nominated. In fact, Americana artist Brandi Carlile is nominated for six awards including Song and Album of the Year. For those who are not familiar with her music, this last year has been a much-deserved culmination of steady ascension. Her album, By The Way, I Forgive You is the latest addition to a catalog spanning nearly twenty years in the business. After dropping out of high school and teaching herself piano and guitar, her second album, The Story, gained her mainstream notoriety. With the help of producer T-Bone Burnett, Carlile climbed charts with tracks featured in various ad campaigns and television shows. The recent nomination and the buzz that has followed for what is already her seventh full release is a much-deserved nod to an incredible songwriter. Her humble approach to writing and touring has won her fans within the Americana and Alt-Country genres. There is no mystery as to why Shooter Jennings and Dave Cobb were eager to produce this extraordinarily tight album, or why legendary troubadour John Prine chose to collaborate with Carlile on his The Tree of Forgiveness (“I Have Met My Love Today”) release. Both artists will be competing against each other for the Best Americana Album Grammy as well. Look for her to make what is sure to be an exceptional performance Grammy night. With eight acts up for the Best New Artist Grammy, six of them are women. 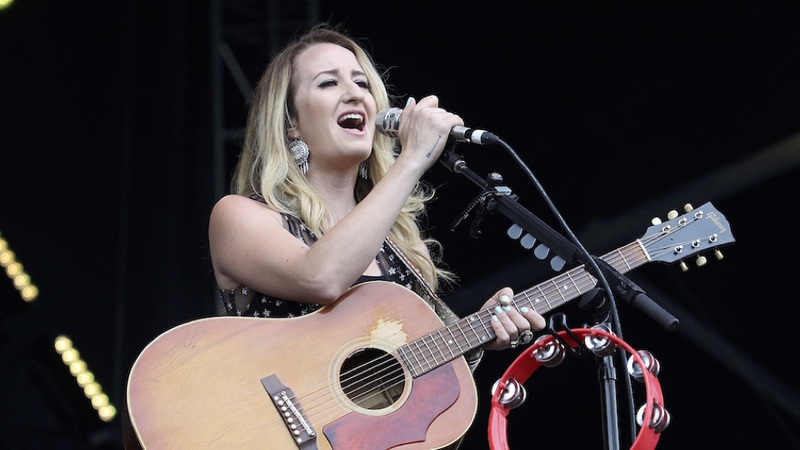 Among them is Margo Price. As a friend and collaborator with Carlile, Price has gradually broken through with her 2017 album All American Made. While typically classified as Country, her style takes the genre back to its roots, while adding a needed female voice. The Nashville artist has an intriguing story that’s resonated with many: she battled alcoholism (her track “Weekender” is about time spent in jail for a DUI) after the loss of her son and in order to keep afloat, pawned her wedding ring. Her songwriting is confessional, honest, and reflects a working-class country style that’s been missing in recent years. Her first official album, Midwest Farmer’s Daughter, was put out on Jack White’s Third Man Records. The artist won over audiences with an engaging live show, including Saturday Night Live, and was even featured on an episode of Parts Unknown with Anthony Bourdain. Her latest release, All American Made, serves as an unintentional but nevertheless strong rebuttal to the comments of the Recording Academy President Neil Portnow who stated after a male-dominated ceremony last year that women need to “step up”. This ridiculous statement shows the tone-deaf attitudes within the Academy, but also put a necessary spotlight on women like Carlile and Price who have been making award-worthy music for years. While women have indeed had an incredible year, so has Rock. After many laments of the “death of rock and roll,” more than a few acts have brought the thunder this year. The Michigan outfit Greta Van Fleet leads the charge with four nominations. The band has gained popularity, and criticism, for their Led Zeppelin style that relies heavily on Robert Plant-esque vocals and Jimmy Page- influenced guitar solos. Plant recently gave the band his blessing, which has only helped to cement this young act in the revival of Classic Rock. What mostly gets lost in the incessant comparisons is the band’s exceptional talent. With this, listeners can’t help but imagine a new generation of youngsters pillaging their parents (or grandparents) collection of classic records. In our opinion, any act that inspires younger generations to pick up guitars and listen to Zeppelin cannot be half bad. The 61st Grammy Awards will air Sunday, February 10th on CBS.